During my first trip to Israel back in September 2012 we visited Bethlehem. You can visit my post Over, Under and Around Jerusalem for more about the day that we visited Bethlehem. While in Bethlehem we visited the Church of the Nativity. 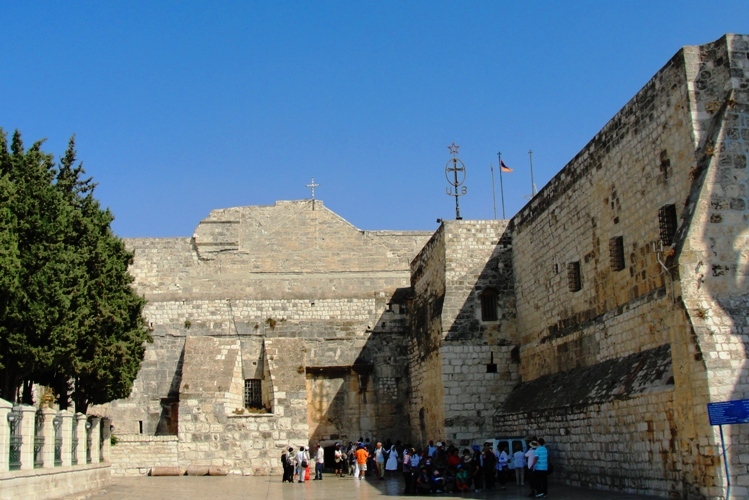 The Church of the Nativity is an interesting structure as it contains different sections for the Greek Orthodox and Roman Catholics. 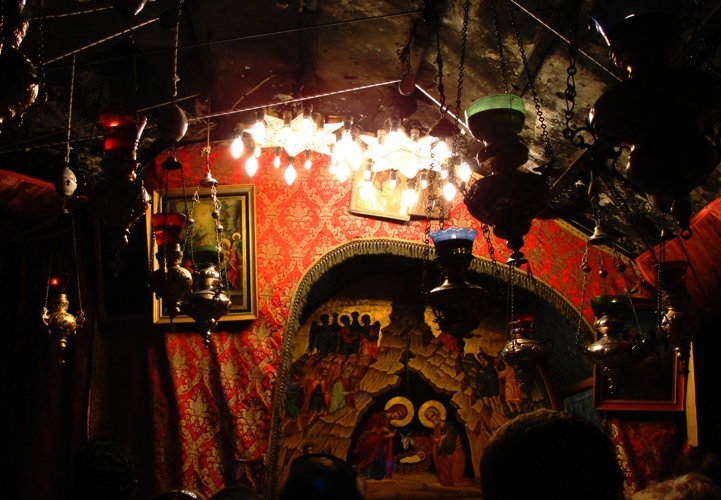 They both share sections of the Grotto of the Nativity, a cave that is the traditional location where Jesus was born. Shown here is a painting above an altar that marks the precise spot where it is said Jesus was born. You can see the Armenian Apostolic influence in the painting. 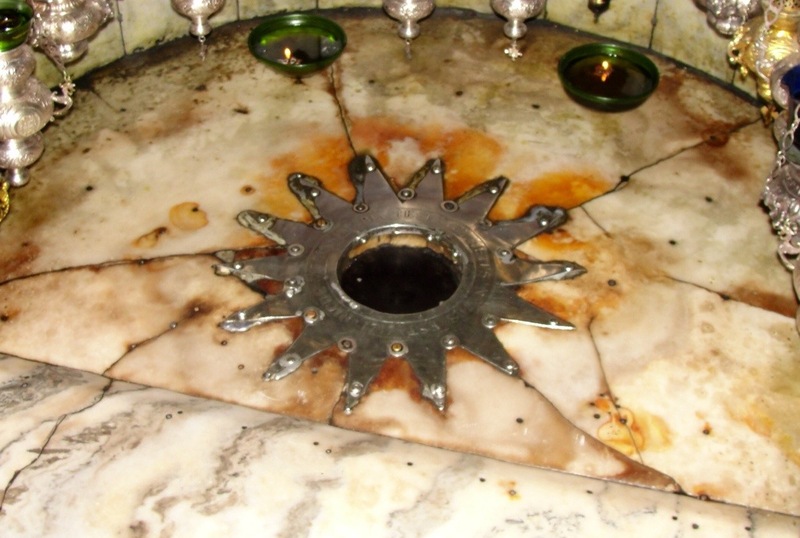 Here beneath the altar the traditional spot of the birth of Jesus is marked with a silver star with fourteen points which represent the generations in the genealogy of Jesus. 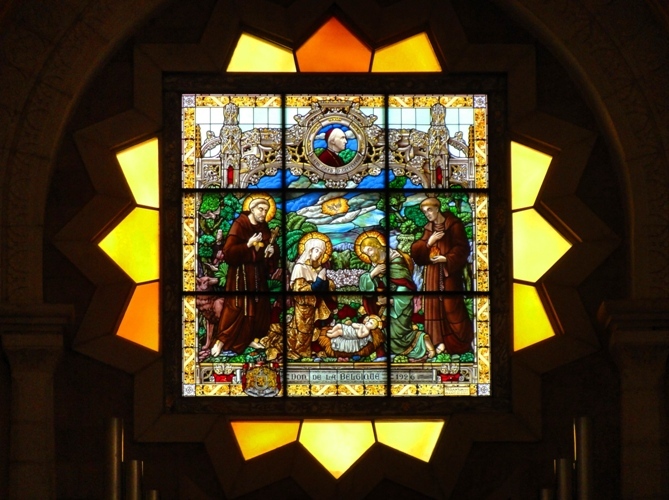 In the Roman Catholic portion of the Church of the Nativity there are several nice stained glass windows. Here we have a nice artistic depiction of the birth of Jesus. While leaving the Church of the Nativity I spotted this plaque on the wall. To me, this is the most important message for us about the birth of Jesus. 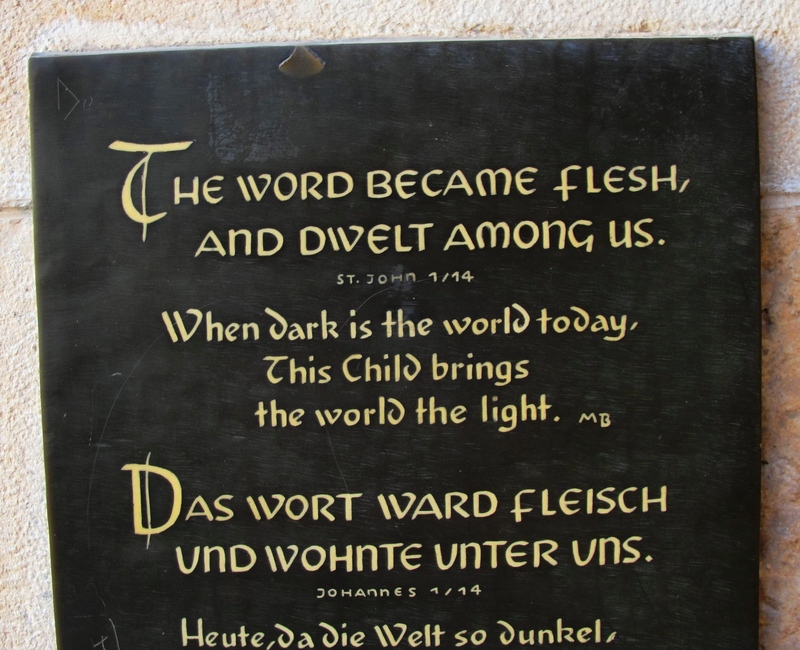 As you celebrate Christmas this year, remember why Jesus came to earth to dwell among us. He is our Savior and Redeemer. This entry was posted in Culture, History, Holidays, Memories, Travel and tagged Bethlehem, Birth of Jesus, Christmas, church, Church Building, Church of the Nativity, Jesus, O LIttle town. Bookmark the permalink.